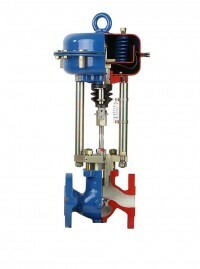 The High-performance control valve BR 12 is used in automated industrial installations to control the flow of steam, gases and liquids. The wide range of materials, different configuration options and excellent pressure and temperature parameters allow the valve to be used even under the most difficult operating conditions and make it especially popular in the power plant sector. Version BR 12b: single or multi-stage plugs, balanced valve plug, control and additional perforated cages.